Burger&apos;s Mark Gagnon will oversee construction of the foundation upon which the interiors will be installed. Since taking over the Burger yard in 1993, David Ross and Jim Ruffalo have sold plenty of 80- to 100-footers. All the while, though, they’ve been watching the market shift upward. 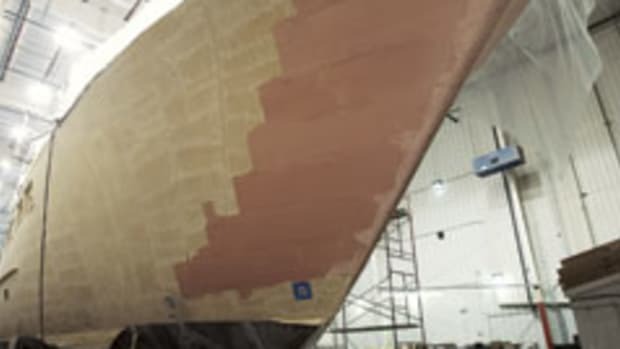 “We’ve been very conscious that this size range—140, 150, 160—has been the bread and butter of the northern European shipyards,” Ross explains. So they slowly took on bigger and bigger projects, allowing the Burger craftsmen to get comfortable with them. They also encouraged Don O’Keeffe, Burger’s in-house naval architect, to work up sketches that pushed past Burger’s comfort zone. Simultaneously, Ross and Ruffalo made capital investments like the new building hall. “We think that the market that we’ve chosen—100 to 165 [footers]—encompasses the typical Burger client and the market just beyond that, the trideck and expedition styles,” Ross explains. 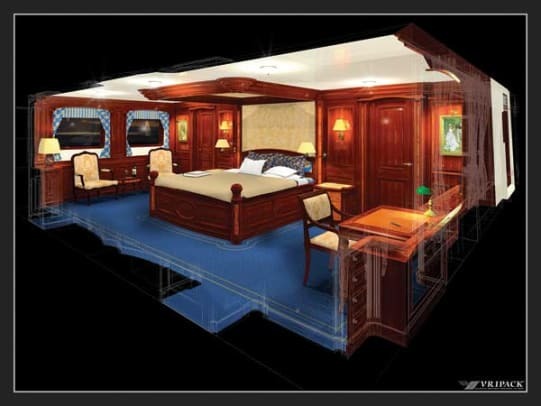 In other words, they wanted to be ready with O’Keeffe’s sketches, properly experienced craftsmen, and a state-of-the-art facility when somebody like Jack went looking for a yard to build a boat like Time for Us. 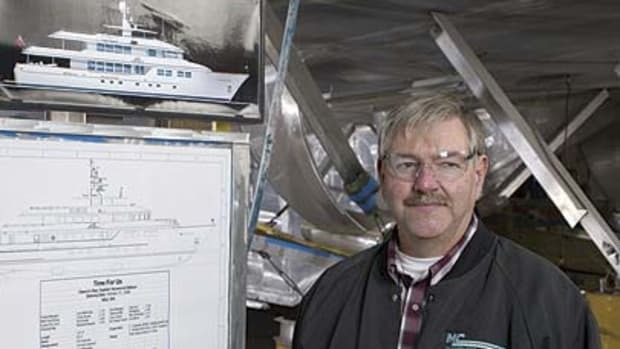 Jack and his wife, Marilyn, never imagined five years ago that they would be building a motoryacht, let alone one of such significance. 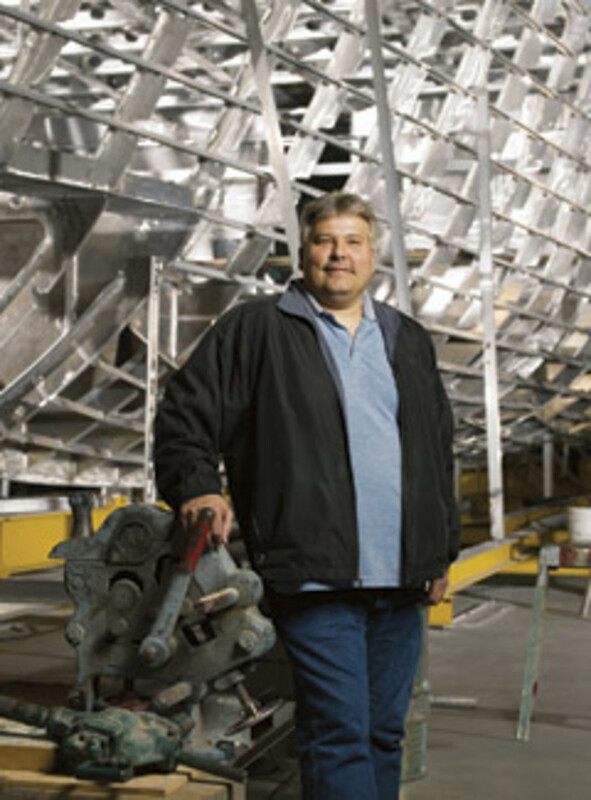 In fact, the only boat either of them had ever spent time on was Jack’s 16-foot Chris-Craft. In the summer of 2001, a friend suggested they try yacht charter. After one month cruising the Intracoastal onboard the 122-foot Flagship Bon Bon, they were hooked. 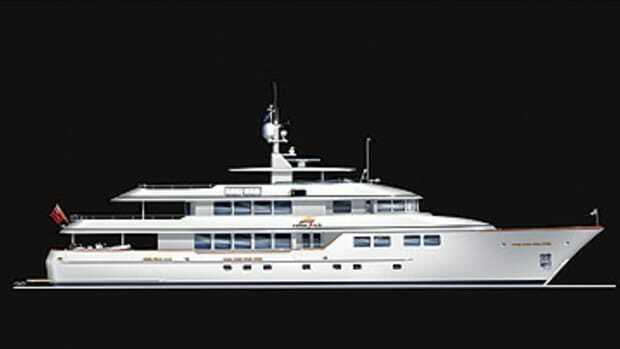 By 2002 they’d purchased a 118-foot Trinity, the first Time for Us, and hired Bon Bon’s Capt. Chris Young to command her. 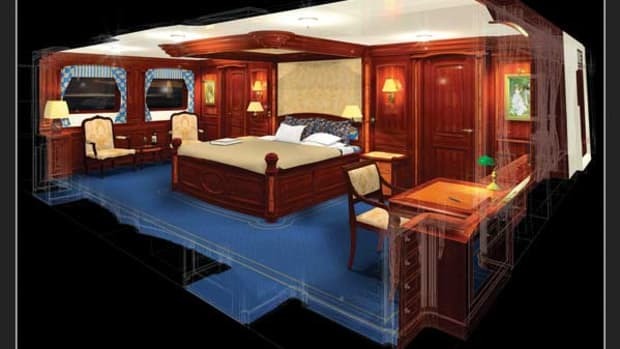 They put her into charter while working on a spec sheet for their dream boat. “I spent 18 months working on it, taking 12 inches off one cabinet to find more leeway,” Jack says. Marilyn recalls her husband checking cabin and saloon sizes by creating masking-tape diagrams on the floors of their Wichita home.